This is the Dog Food we, here at Yoder Labradors feed all our dogs and puppies and we recommend that you stay with the food we started your puppy out on. Sell Holistic, natural Dog Food with an already designed website - it's easy! INTERESTED IN AN INCOME OPPORTUNITY? OR HOMEBASED BUSINESS SELLING DOG FOOD? Would you like to make money everytime you purchase your dog food? Have others order through you to make even more? the best and safest possible food? TO FEED ALL YOUR DOGS FOR FREE? 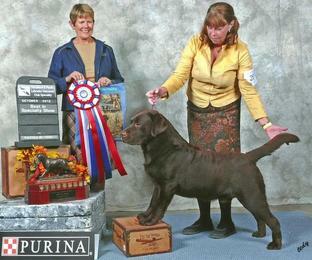 Contact Alan Gunther for training, showing and boarding for you cherished pet!